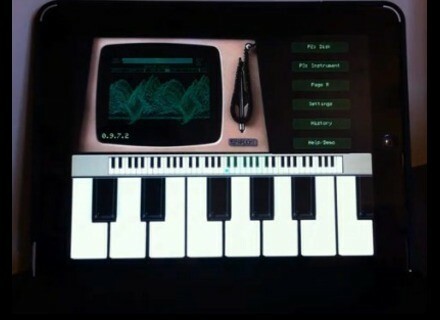 CMI App, Virtual instrument for iPhone / iPod Touch / iPad from Fairlight. 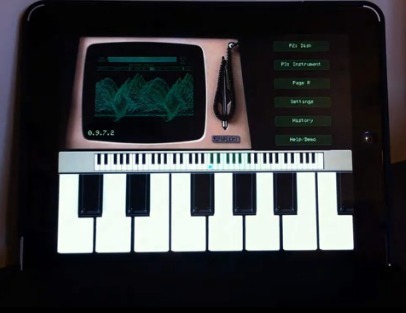 Peter Vogel has updated his Fairlight CMI reproductions on iPad in order to use them with Audiobus. Audiobus support, both input and output. Send any audio to other apps, or sample new voices from the output of other apps. New Synthesiser and Sequencer Engines. Better accuracy, lower CPU use, new features like polyphonic channels. Background synth and song playing. Play your song in the background, or use external keyboards to play your selected voices while another app is in the foreground. Great for looping. Stereo voices, voices from MP3, view waveforms and play voices before importing them. Page R step/pattern navigation while playing. No need to stop first. Skip the startup floppy disk to get right into composing. Toontrack bundles 4 essential EZkeys pianos Along with the Classic Electric collection, Toontrack launches today EZkeys Essential Pianos, which bundles 4 electric and acoustic instruments. Toontrack launches the electric version of EZkeys Toontrack introduces EZkeys Classic Electrics, which includes the EZkeys virtual piano as well as Rhodes MK I and Wurlitzer samples and presets. Audiffex lowers its prices Audiffex has a new pricing policy and has lowered the prices of its plug-ins up to 90%.